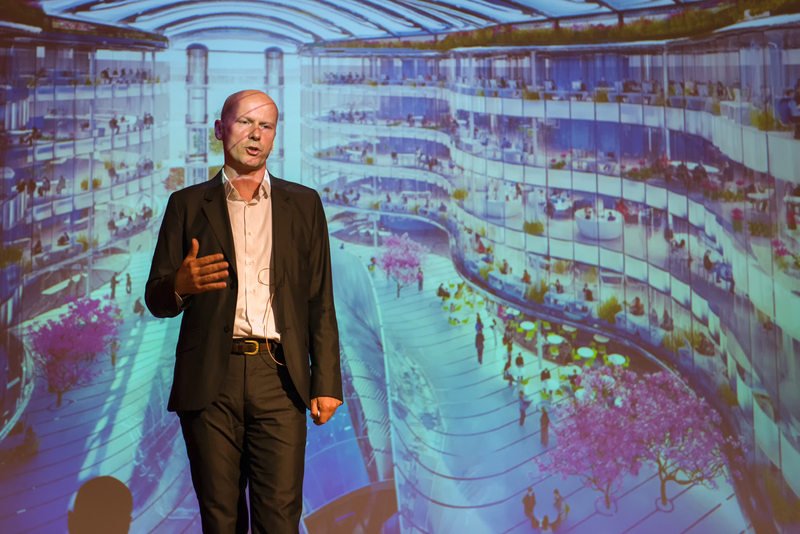 Michael Pawlyn established Exploration in 2007 and has built a reputation as a thought leader in regenerative design and the circular economy. He has lectured internationally and, in 2011, became one of only a small handful of architects to have a talk posted on TED.com which has since had over 1.8 million views. His book Biomimicry in Architecture has been the publisher’s best-selling title. Prior to setting up the company Michael Pawlyn worked with Grimshaw for ten years and was central to the team that radically re-invented horticultural architecture for the Eden Project. He was responsible for leading the design of the Warm Temperate and Humid Tropics Biomes and the subsequent phases. He initiated the Grimshaw environmental management system resulting in the company becoming the first firm of European architects to achieve certification to ISO14001. Exploration is an architectural practice and consultancy company focused on regenerative design. We work with organisations that go beyond standard approaches to sustainability. Exploration comprises a group of architects, designers and researchers who collaborate with a broad range of specialists as appropriate to project demands. We are always interested in hearing from motivated and talented architects.